In the hour-long programme to be broadcast on Frost's television show next month, McCartney lets it be known that Yoko Ono did not break up the Beatles, that he remains still a working-class boy despite his fame and fortune, and that his marriage to Heather Mills is not something he likes talking about. His second marriage does not feature in the interview; photographs show only his 1969 wedding to Linda Eastman then jump to his third marriage a year ago to another American, Nancy Shevell. The acrimonious and very public divorce with Mills is not touched upon in what is billed as a unique "in-depth interview". 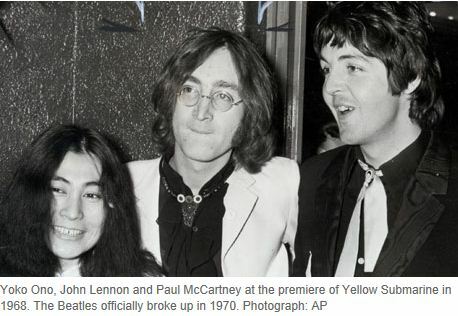 But it is on rock'n' roll's most infamous break-up that McCartney was uncharacteristically outspoken.